Note that jumpsuit style allows for greater waist measurement than size chart states. Torso of jumpsuit is straight cut from chest measurement. 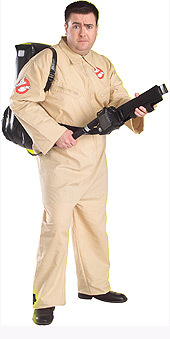 Belt on proton pack can be used to hold extra fabric.